'2 Cool 2 Be 4gotten', one of the official entries at the Cinema One Originals 2016, just had its gala premiere earlier at TriNoma Mall Cinema 1. 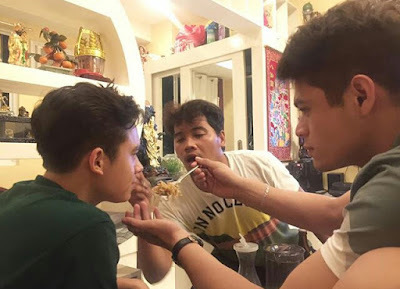 And while the premiere was goin' on, one of the movie's leads, Jameson Blake, got a really sweet message from his fellow Hashtags member Jon Lucas. It's Jameson's first movie, and so Jon made sure he penned a message that's too cool to be forgotten, along with a picture showing how "caring" he is for Jameson. @hashtag_donjon: "For sure pagsisisihan ko tong hindi pagpunta sa Premiere night ng 1st movie mo! 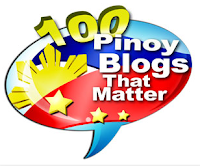 pero sinabi ko na sayo yung reason ko.. and alam mo rin na proud ako sayo! Ngayon palang congratulations sayo, and naniniwala ako na sobrang malayo mararating mo, Pampanga to Las piñas.. joke! Yung picture na yan magpapatunay na para na kitang kapatid talaga na kailangan pang subuan at pagsabihan sa tigas ng ulo mo minsan. Haha. 1st time ko magpost ng ganto siraulo ka! Nakakahiya! Anyways, CONGRATS AND GOODLUCK!" If Jon showed his support thru a sweet IG post, other Hashtags members showed their "sweetness" by going to the premiere. Paulo Angeles, Luke Conde and Tom Doromal were spotted attending the premiere to support their fellow Hashtags member on his first ever movie. 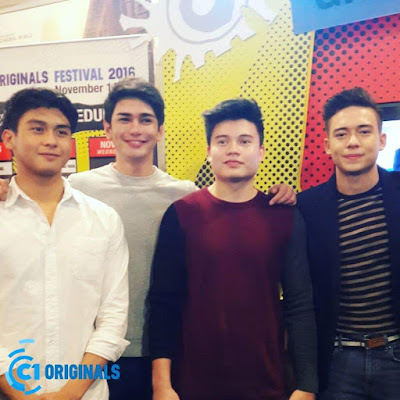 Directed by Petersen Vargas and written by Jason Paul Laxamana, '2 Cool 2 Be 4gotten' stars Khalil Ramos, Jameson Blake, Ethan Salvador and Ana Capri. You shouldn't miss this movie. Below is the schedule of screenings in select theaters in Metro Manila, as part of the ongoing Cinema One Originals 2016.